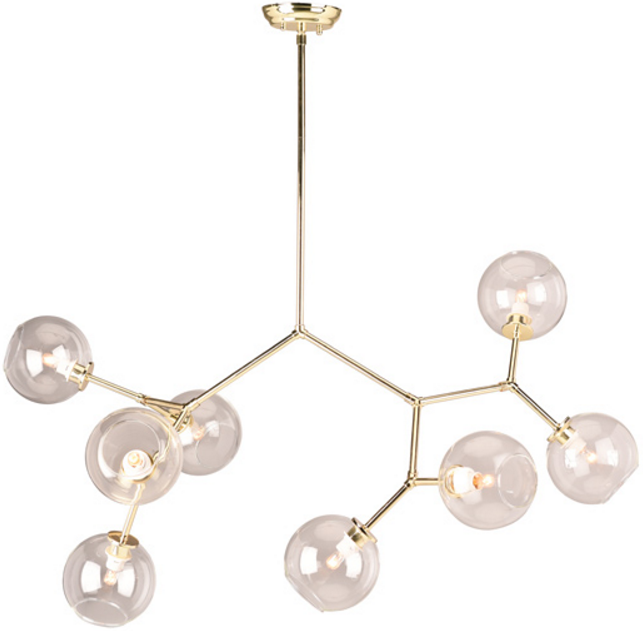 The Atom 8 Pendant is the perfect ceiling lighting to bring the mid-century design aesthetic into your home. 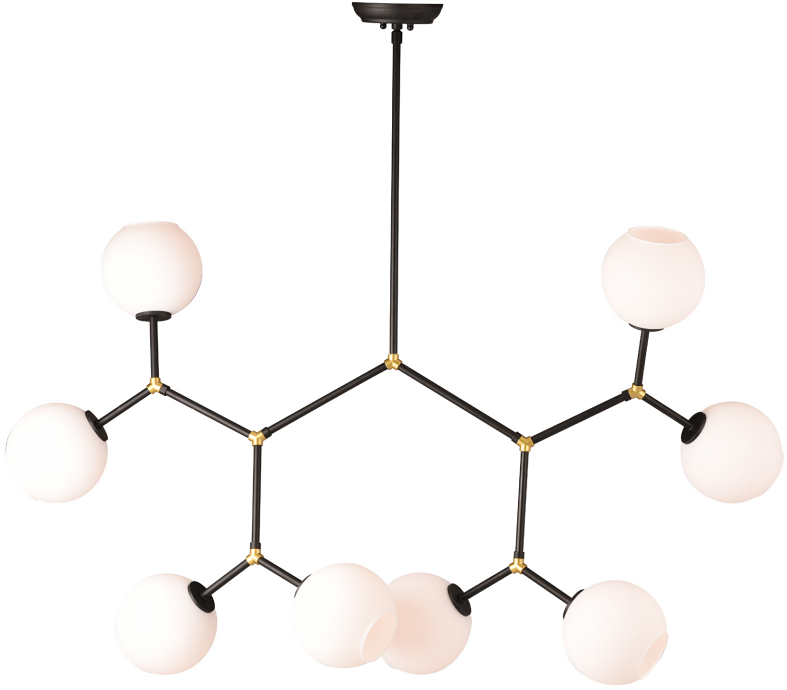 This pendant lamp, which bursts out 8 glass orbs features a uniquely designed frame available in both matte black or polished gold. Glass orbs come in a white shade for the matte black frame and clear for the polished gold frame. Atom 8 Pendant hangs elegantly from a thin metal rod that attaches to a iron and metal round canopy. Atom uses 8 E12, Max 40W bulbs.